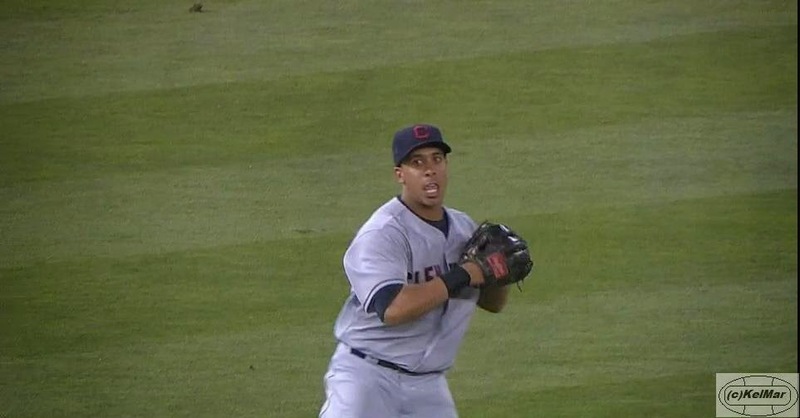 Michael Brantley started what turned into a triple play in the game tonight against the LA Dodgers. i was excited enough that Michael had just recorded his 10th outfield assist, which put him tied for the major league lead with Yeonis Cespedes. and then i was even more happy when i realized Michael got his 2nd double play of the season. 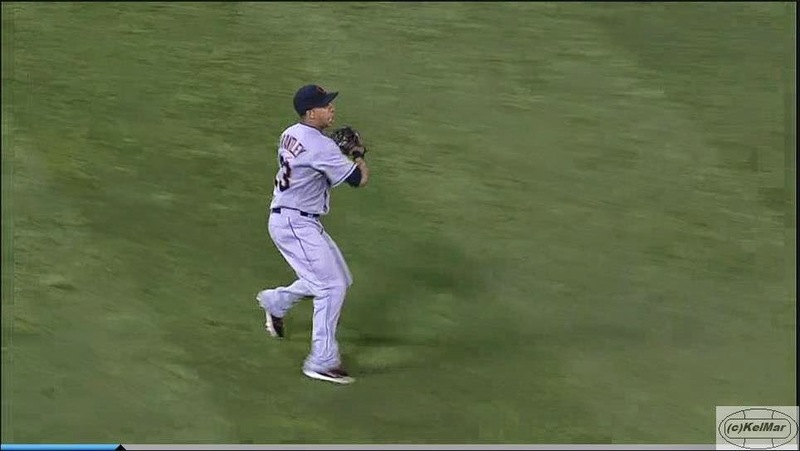 but when it became clear that his initial putout began a triple play to end the inning, well that was something special. but it wasn't easy. Kyle Crockett had just come on to pitch for us in the bottom of the 4th inning. 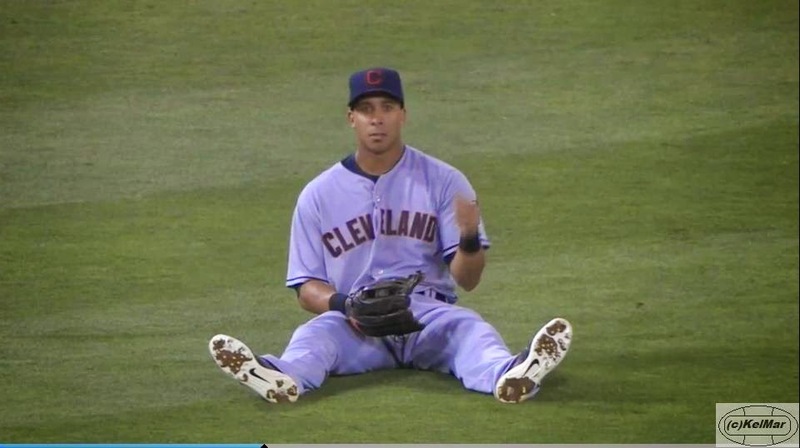 he replaced Justin Masterson, who once again did not have his best stuff on the mound. luckily, the Indians were leading, 5-3, but Masterson left Crockett with a jam to get out of. Adrian Gonzalez was at the plate with Dee Gordon at 3rd and Yasiel Puig at 1st base and no outs. 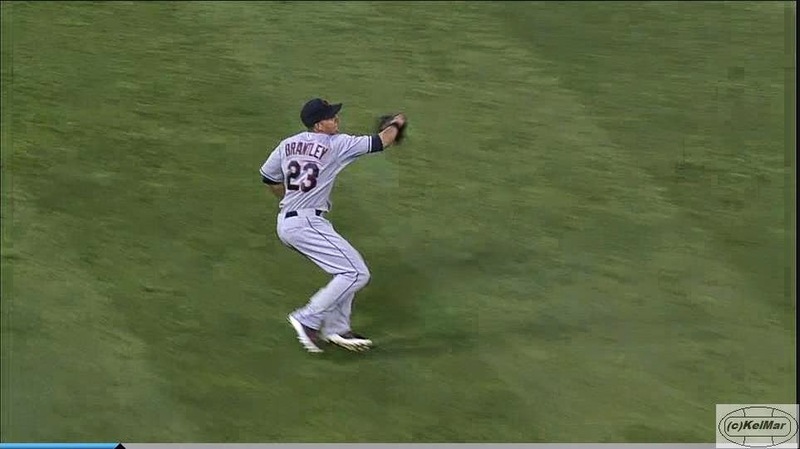 after a 1-2 count, Gonzalez flew out to Michael in left field. 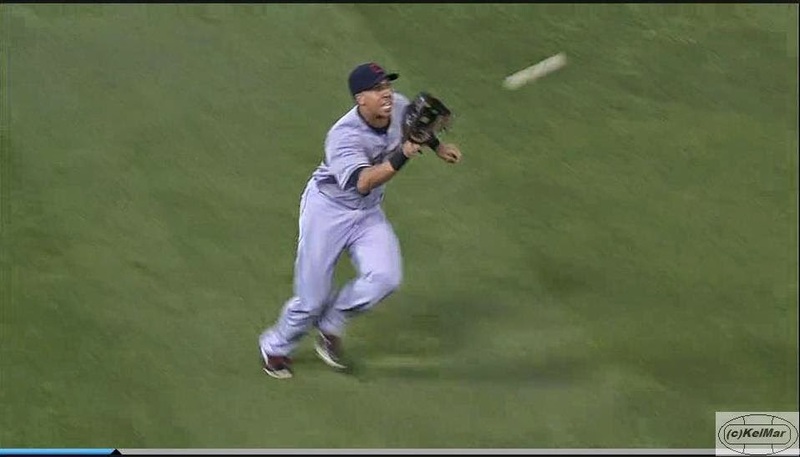 once Michael caught that ball for the 1st out, he immediately fired it in to throw out Gordon at home. 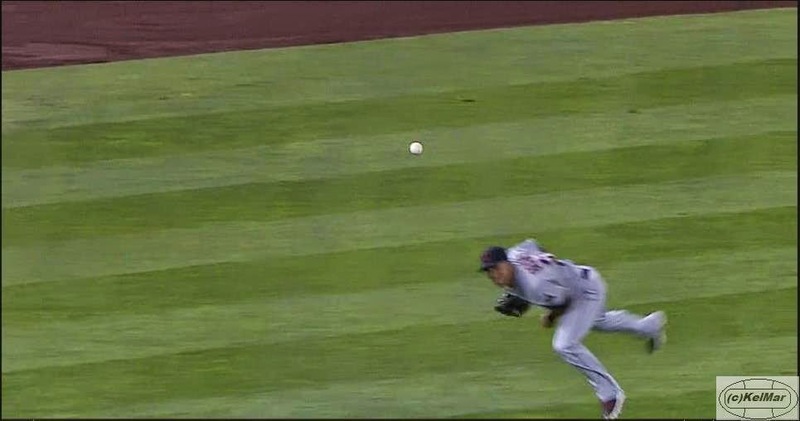 Yan Gomes caught the ball and applied the tag on Gordon to complete the double play. after the home plate ump called Gordon out, Gomes looked towards 2nd base where Puig was trying to advance. 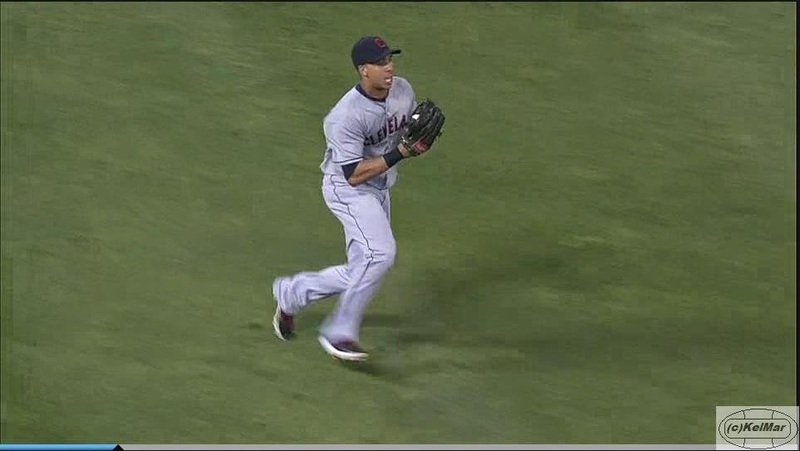 so he quickly threw the ball to Jason Kipnis, who was covering 2nd base. Kip applied the tag to Puig, but the umpire called Puig safe. when Kip signaled to Francona that he did tag Puig in time, Francona challenged the play. after the MLB replay crew in NY reviewed the play, the call was overturned, and the double play turned into a triple play to end the inning. or did it? 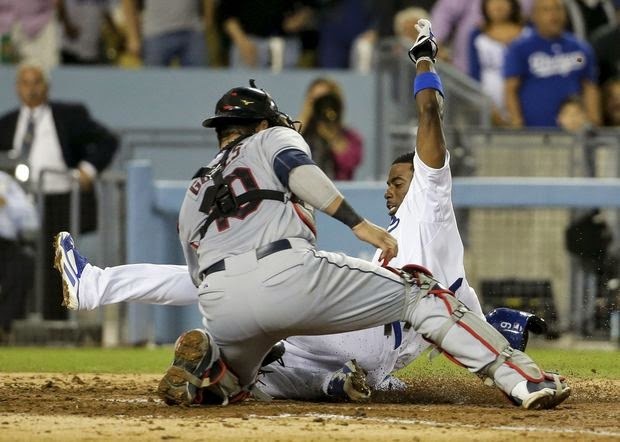 Michael waited it out from the spot where he fell, but is sure that Kip applied the tag in time to get Puig at 2nd base. after it was ruled that Puig was out at 2nd base, Dodgers manager Don Mattingly decided he wanted to challenge Gordon being called out at home plate. is your head spinning yet? lol so then that was reviewed by the crew in NY. but that call stood, so the triple play was official and the inning was over. 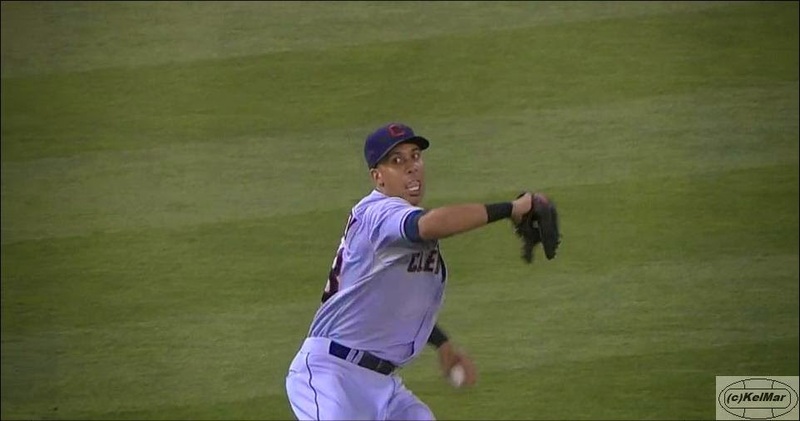 the triple play was scored 7-4-2. it was the Indians first triple play since April 3, 2011 against the Chicago White Sox. and it all started with Brantley. 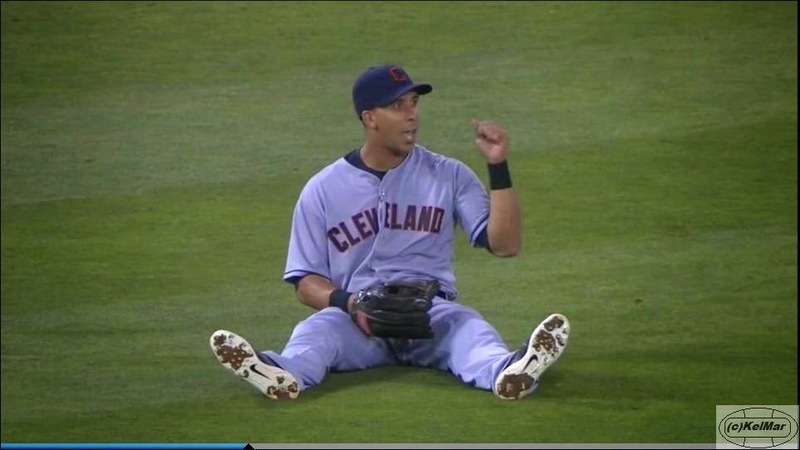 he's the first left fielder to start a triple play for the Indians since 1928! after the game, Michael had this to say: "Dee Gordon was on 3rd, i know he can fly. i figured he was gonna test me so i just wanted to make sure that i tried to throw an accurate throw home and keep it low just in case. Puig was on 1st. and i made the catch, made the throw. Puig broke out late. we turned a triple play. it was huge, it was fun. the anticipation of it from all the replays was a little bit, you know, nerve-wracking, but at the same time we pulled it off." when asked about his throw home, Michael said, "i didn't see the throw home, i had no clue where i threw the ball. i threw it and i knew it was on-line, but i kinda did a little tumble. 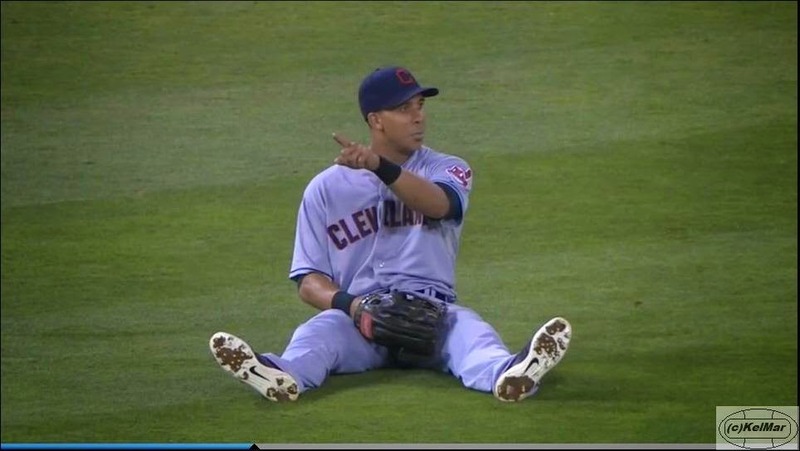 all i saw was Yan throw out Puig at 2nd so i was like 'hey, he's out! i know that part!' and then i was asking the guys, i didn't know what happened at home, but they said i had him at home too, so, it was fun. it got us out of the inning, that was the best part about it." additionally, Michael said he's always up for the challenge when runners test his arm. 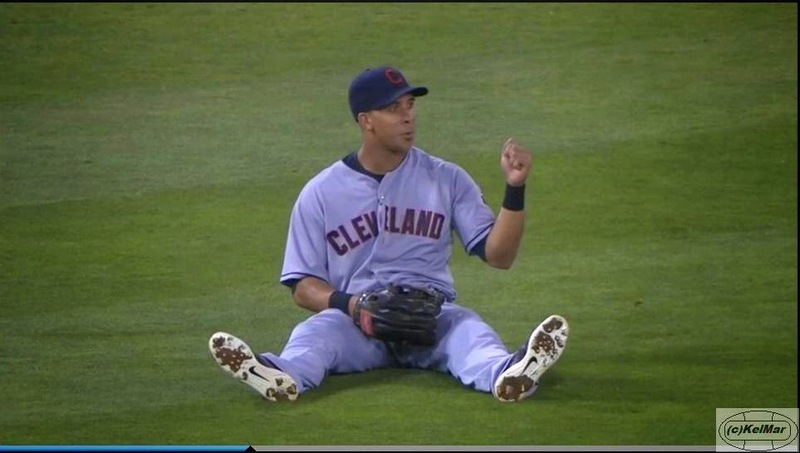 he continues to add to his already strong case that he deserves some serious consideration for a Glove Gold this year. make it happen people! 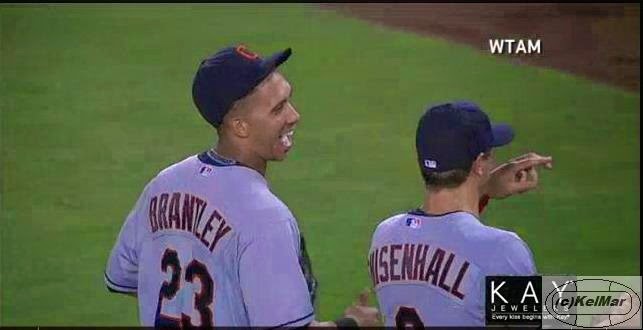 Brantley Made the American League All Star Team!